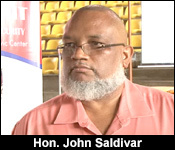 For the last 4 months or so, John Saldivar and the Ministry of National Security have been canvassing civil society leaders to get their feedback on crime, citizen security, and how the government can work to make Belize a safer place to live. A little over 3 months ago, this year’s murder rate was on track to meet or surpass the deadliest year in this country, but the spike in violent crime has leveled off. So, right now, things are relatively calm, but the National Security Ministry wants to find the key to keeping the relative state of peace. They hosted the first ever National Citizen Security Summit today, where the public was invited to discuss crime, and propose solutions. 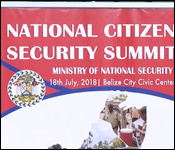 The Belize Civic Center was opened for the entire day today for the first ever National Security Summit. It’s the culmination of all the national consultations that the Ministry of National Security has been doing, canvassing as many of the social partners as possible, to hear their input on how the Government can improve citizen security. 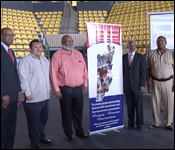 This time, the Government wanted to give the public an opportunity to offer insight on how to truly start to make Belize’s streets safer, more so than they have been in the last decade or so. The Government has its own ideas on how to fix these problems, but they sought feedback from the public who live in crime affected communities. "For those of you who are strategic planning, management, you know strategic plans are not static, that there is always a need to reevaluate and see what you can do to improve to see if you need to change course or should you add some more kick to what you're already doing. Minister Saldivar has concluded that we need to do a fresh look and that's part of the reason we’re here today." 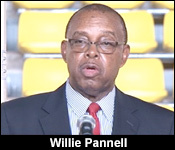 But before the Summit began in earnest, a few speakers, such as Police Commissioner Allen Whylie, shared a few details with the gathering, to illustrate that the State hasn’t been sitting on its hands. One point which caught our attention is the 150 new video surveillance cameras that the police want to install all over Belize City. "The re-establishment of the crime control council was suggested. Where opportunities will be opened for groups like the unions to channel their efforts and ideas and where they can influence future crime fighting initiatives. The float of a security bond should be instituted where the citizens invest in our own security. Professionalism and educational training for police officers so they can be fully versed with functions, their conduct and approach to the public can be professional and some of the recommended training that is suggested is in public relations, investigations, prosecutions, human behavioral training and first responder training. Another idea is for us to focus on social intervention, it was noted that the recommendations from the Ministry of National Security was focused on punitive solutions while the issues in Belize is a social problem." And according Minister John Saldivar, the state has already taken on some of the suggestions onboard, and they are being implemented. "The Ministry of National Security and the Belize Police Department as a result of those consultations already adopted several of the suggestions that were proposed. Training of our police officers by the Belize National Teachers Union has started, the extension of the police recruiting training syllabus has been approved and the time of training has now been extended from 4 months to 6 months. Equipment has been procured and distributed to operational areas. Redeployments and reconfiguration of personnel to priority areas were conducted. I am also able to announce today that with in collaboration with the United States government and the US embassy here in Belize, we are setting up a task force to investigate police corruption." In the meantime, the country is enjoying its greatest period of calm almost 4 and a half years, according to the Minister of National Security. "June just passed, the month just pass saw us recording 5 murders in that month which was the lowest murder count in a single month since November of 2013. We see that as a significant achievement of all the planning and strategizing that has been happening in the police department. Also in June, we saw the major crimes count fall from 137 at its height in April to 97 in June." "Over the past 3 months, we have enjoyed many successes and we have seen a reduction in major incidents in particularly in the Belize district and currently we are now reviewing the things that are driving our successes with our view to try to communicate those things to the other districts. In conclusion we live in an every changing world, as a result the specific tactics and action of our crime fighting strategy will change overtime and crime changes and progress is made." 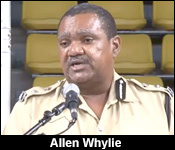 But, for those times where there are spikes in crime, the Ministry is hopeful that recommendations made by the public today will be actionable, and effective in keeping the crime rate reasonably low. "It’s for all the ministries and stakeholders whether it be public or private sector that are going to be helping in this fight against crime. What I'm hoping to happen out of this is to get some concrete solutions, some concrete actions, concrete projects that will bring to crime situation under control, especially when it comes to timelines, I want us to be very firm in how much time we have to implement what we're implementing. 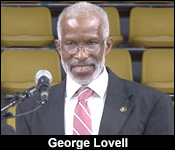 Who is going to be responsible for it because it is not just going to be the police department or the Ministry of National Security, it's going to be all of us in this." The summit finished this afternoon.